This year’s Fantasy Fest runs Oct. 19-28 with the theme “Oh...The Games We Play!” As usual, visitors and locals are invited to let their imaginations run free, from game show hosts to board games and beyond. The 10-day event draws approximately 75,000 to Key West, and at less than 7.5 sq miles, visitors tend to book their hotel rooms early. That’s why we invite you to ensure your spot at 24 North Hotel Key West, which offers shuttle services, activities at our Sunset Green Event Lawn, food at the Toasted Coconut, bar amenities, clean, well-kept rooms and pool access. If you’re looking to enjoy Fantasy Fest but you also want a refuge from Old Town during your stay, choose 24 North. Check out our best available rates, available only on our website. While the event usually centers around adult themes, there are also family-friendly events. One of the most popular is the Bahama Village Goombay Festival, which features live music, food vendors, dancing and more. This year’s event lasts Oct. 19-20, with the outside concert stage located on the corner of Petronia and Fort Street. The Zombie bike ride and Heroes & Villains 5k is for costumed participants and fun for the whole family. If this is an adult fare, there’s no shortage of events. 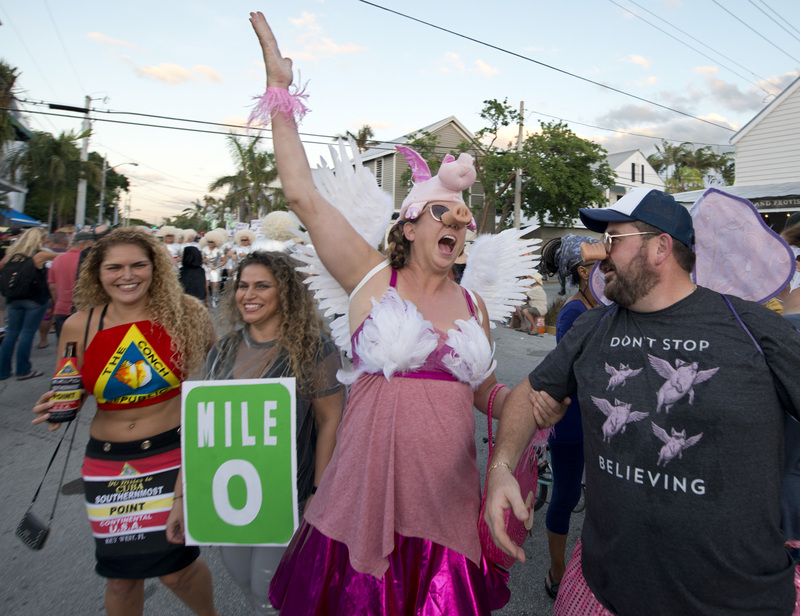 As for costume parties alone, TuTu Tuesday is back for its ninth year, and a plaid party, tighty whitey party and lingerie party are a few of many planned events for adults. Want to get active? A Naughty Bike Ride is also in the works for this year’s Fantasy Fest. Whatever your interest, the Bud Light Fantasy Fest Parade is the biggest event of the week, drawing thousands to Duval Street. If you’re looking to have some distance from the crowds, buy your balcony seat ahead of time to get a heads-up on the event. Bourbon Bar is a popular spot -- but buy your tickets ahead of time, which will be available at keystix.com. These tickets sell out quickly.